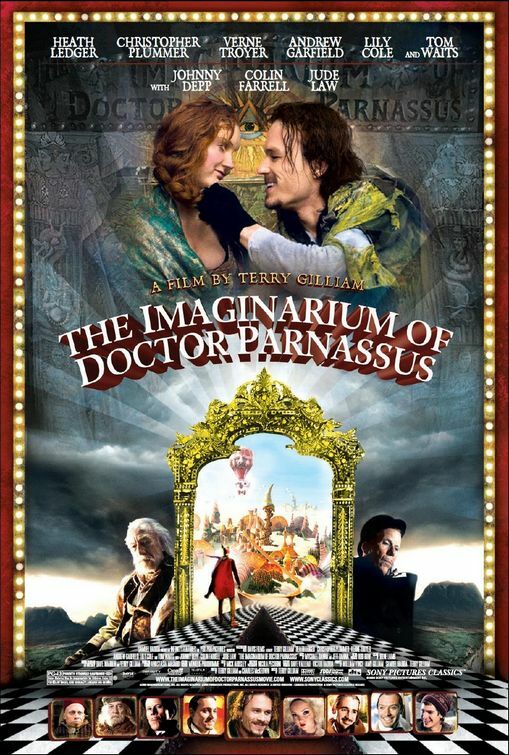 Take a look at the international movie poster for Terry Gilliam’s fantasy adventure ‘The Imaginarium of Doctor Parnassus’, starring Heath Ledger, Johnny Depp, Jude Law, Colin Farrell and Christopher Plummer. Traveling magician Doctor Parnassus sells his daughter to the devil in exchange for a life of extraordinary powers. In order to save his daughter and redeem himself, Parnassus makes one final bet.